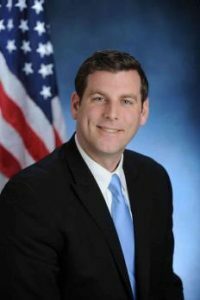 Once again Assemblyman Ed Braunstein (D Queens) has introduced legislation (A. 420) that would require written consent for broadcasting patients undergoing medical treatment. It would give patients the ability to bring a lawsuit against the medical facility and the media. We have opposed this bill in the past. As a general matter we believe there should be no liability on the part of the media. The legal obligation to obtain such a release should be placed on the medical facility and the doctor. The media should not be held liable for broadcasting otherwise truthful information. We are especially concerned because the bill includes ambulances and EMT’s within the definition of a “medical facility.” In other words, stations could be held liable to broadcasting EMT’s providing medical treatment to victims at the scene of an accident. Many of the iconic videos and pictures of 9/11 or AMTRAK accidents could create the potential for liability. Our concerns with the legislation are outlined in a memo that we have distributed to members of the Assembly and the Senate. To see our Memo in Opposition click HERE. To see a the text of the legislation click HERE.